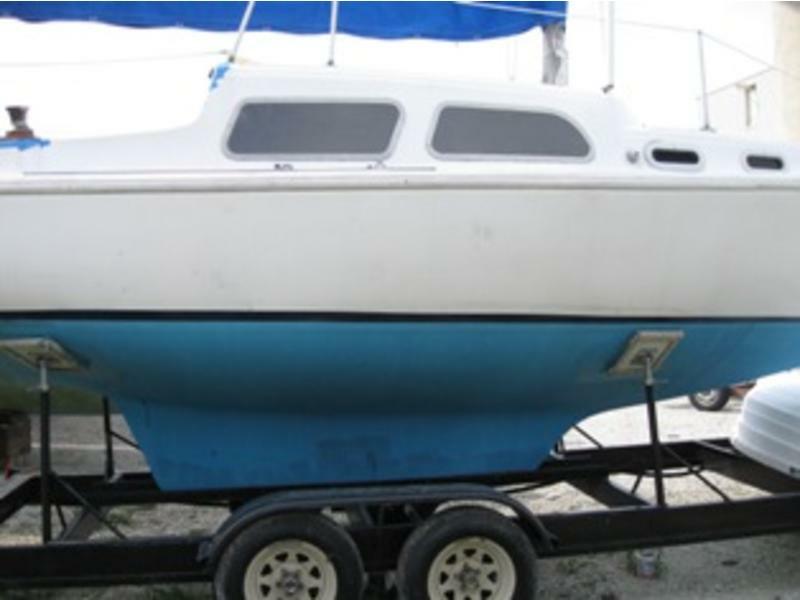 Boat and trailer together $7200 obo. 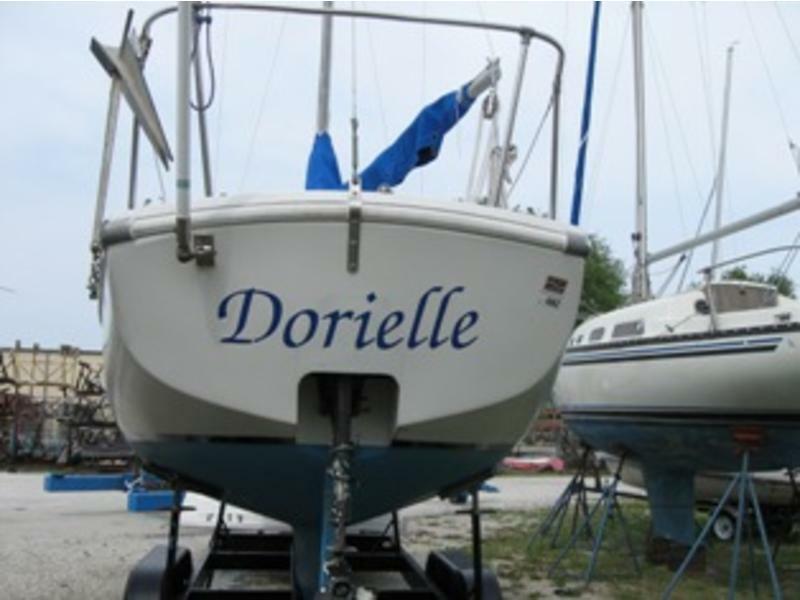 Will sell boat and trailer separately: Boat $2700, trailer $5000. 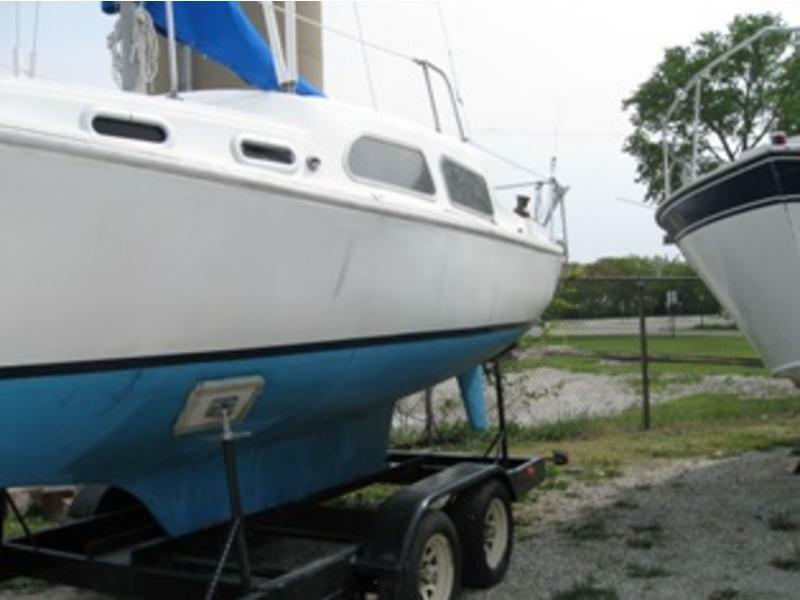 Boat is on trailer with mast and standing rigging up for inspection. 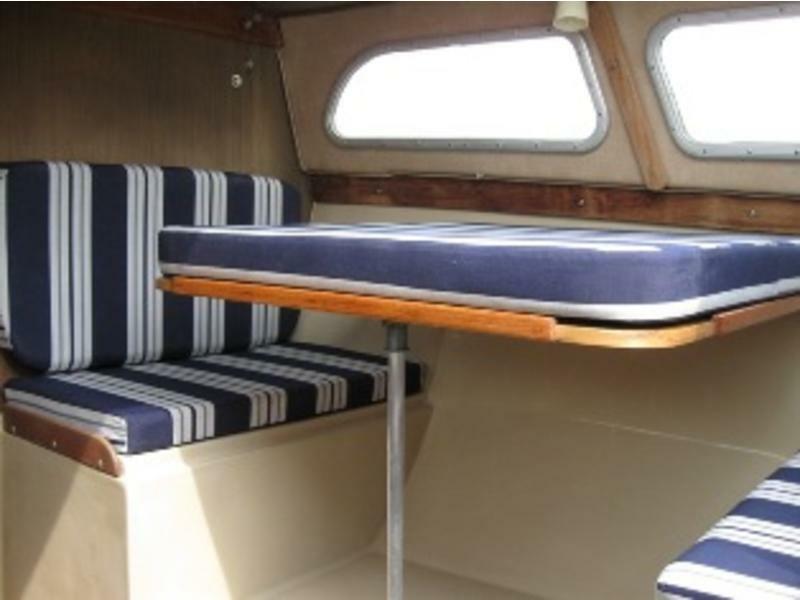 Great family boat for newcomers or those on a budget, sleeps 5, Lots of storage, Dining table, Sink with water pump. Deck/cockpit is very roomy. 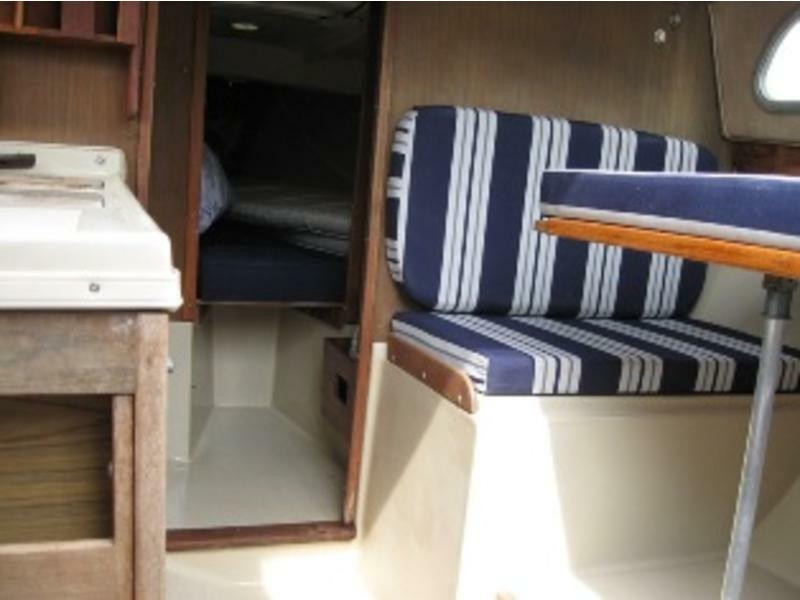 Headroom: 5′ 6″ (5′ 9″ in companionway), 4 opening portlight windows, built in ice box, cutting board. 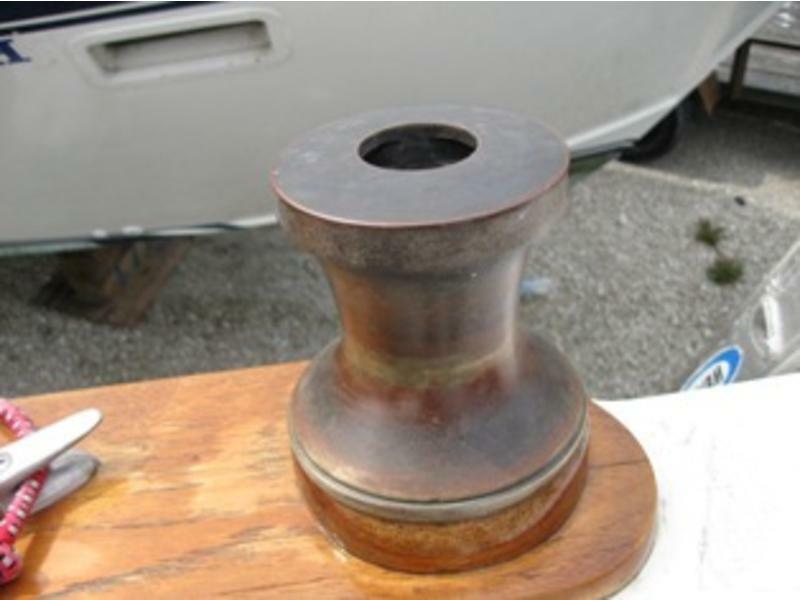 Previous owner fiberglassed in centerboard and converted it to keel model. Replaced all deck joint caulk Spring 2009. 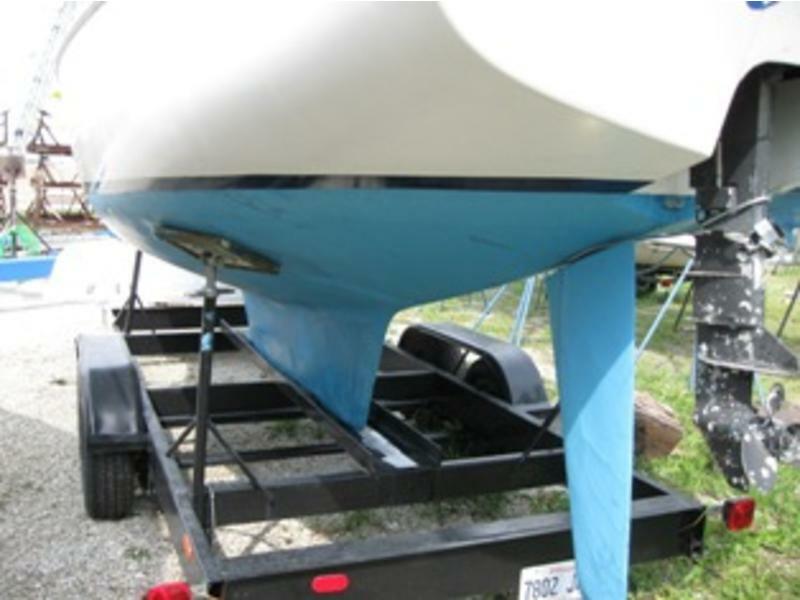 Custom built steel 2007 tandem axel trailer, electronic breaks, lights, can easily handle larger boat, room to mount dinghy and other gear, has 4 adjustable popits, new tires when built includes spare tire. 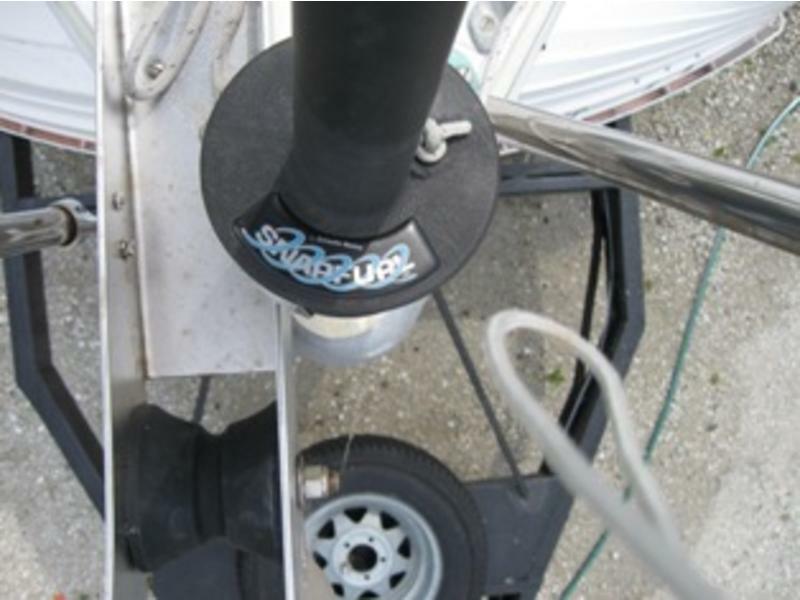 Sails: include 150 Genoa on Snap roller furler, main, and hank-on storm storm-jib. All are in good to excellent condition. Main and Genoa serviced by North Sails in Chicago Spring 2009. 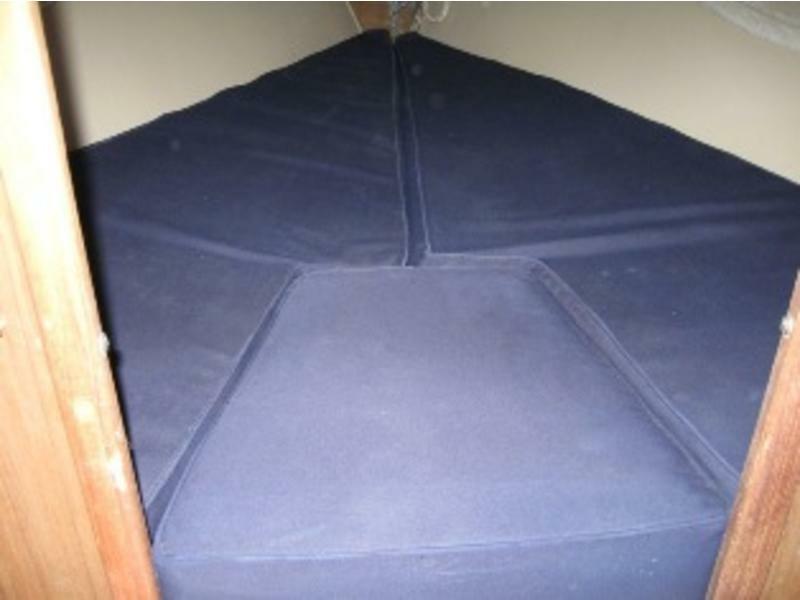 Like new main sail-cover. Outboard: 1998 Nissan 9.8 two-stroke outboard, not real pretty, but well serviced, low hours, starts on the first pull every time. 3-gallon gas tank and flusher attachment included. New fuel water filter 2009. 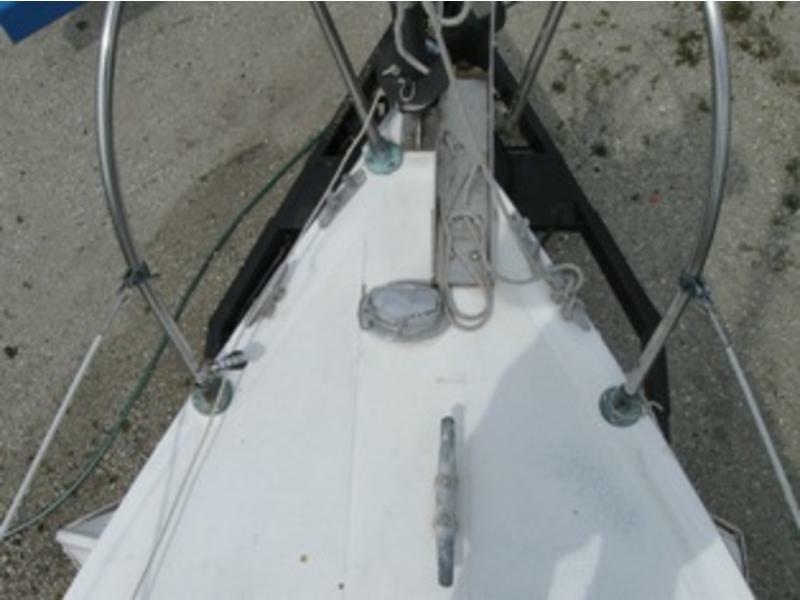 Standing Rigging: bronze turnbuckles, stainless steel rigging, in good shape, new topping lift 2009, new spreader boots 2009, needs replacement jib halyard. 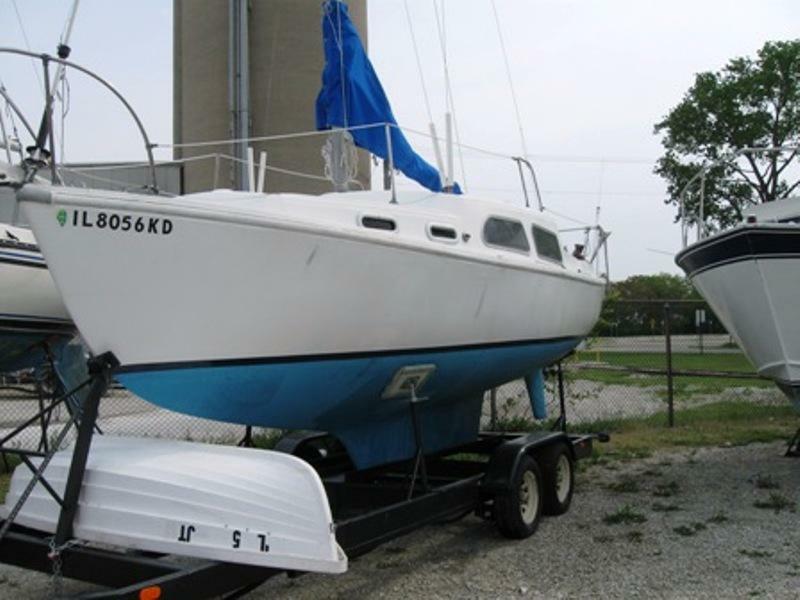 Original aluminum mast and boom in good shape. 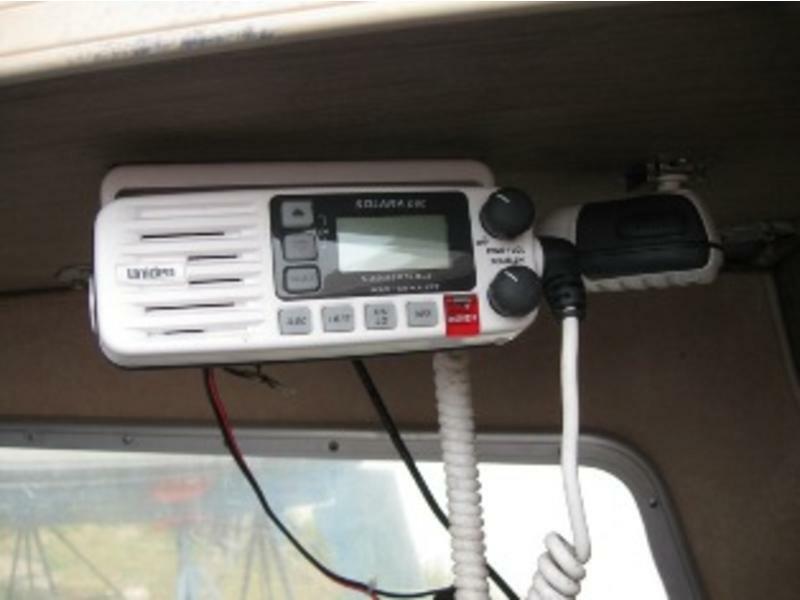 The mast has two small, but old winches that need maintenance. Bottom paint: New CCP ablative bottom paint applied 2008 and 2009. Left over ½ can of CCP bottom paint from this seasons application. No blisters. Hand laid fiberglass hull, built like a tank. 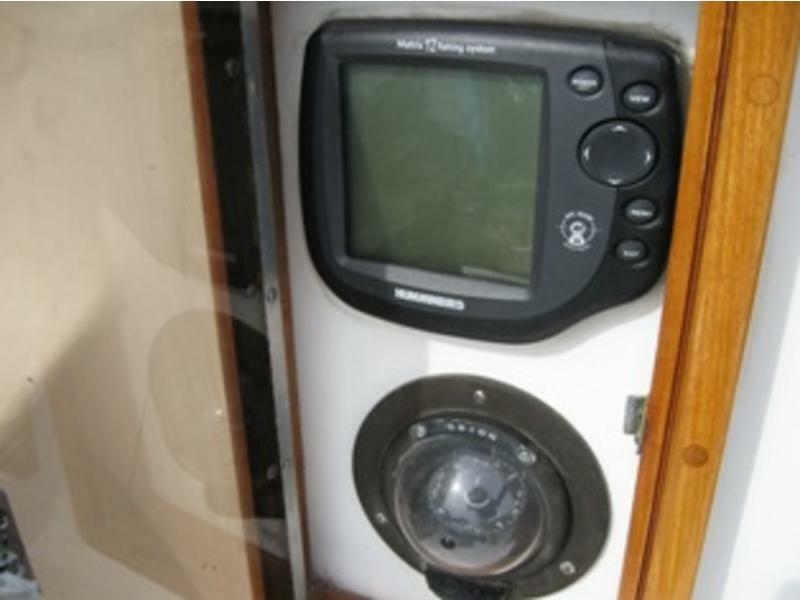 VHF radio with stern mounted antenna, manual bilge pump, new interior cushions 2006, and man overboard pole, two burner alcohol stove, dock lines, bumpers, etc., hawse pipes bow and stern, Danforth anchor and rode, whisker pole, new battery 2008, solar battery charger, Hummingbird fish/depth finder, solar vent in v-birth, original bronze winches with winch handle, swim ladder, Orion compass.